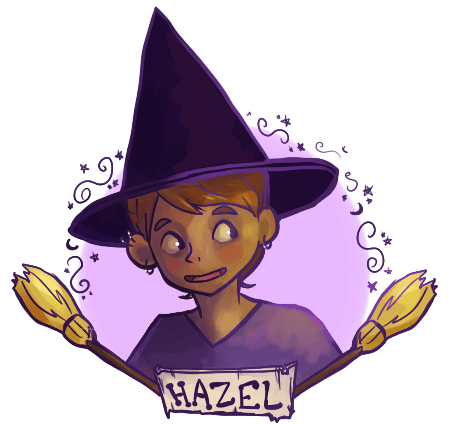 Our intrepid main character, Hazel is a witch of the world who makes her way one day at a time. Despite being a witch her whole life and also the main character of a story about witches, she doesn’t seem to be very good at magic. She is very good at hitting things, though. Very, very good at hitting things. She also has a tendency to bargain her way out of problems. She has a fondness for good food and clever puns. 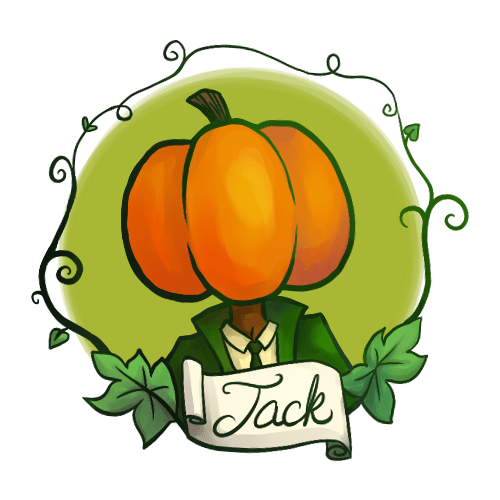 This man has no head, and has instead placed a pumpkin where his head ought to be. It looks a little ridiculous, to be honest, but he probably thinks it looks all right. He can’t seem to remember much of anything about himself, since all of his memories are in his missing head. A clever librarian whom Hazel encounters. 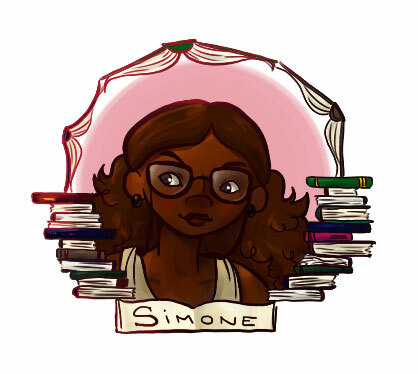 Simone wants to better her town, but she is not sure how.